Pluto’s heart, informally named Tombaugh Regio, dominates the view in a new composite image of the dwarf planet from New Horizons. The landscape spans roughly 1,800 kilometers and shows what an astronaut would see from just 1,800 kilometers away. Looks like it was worth the wait. Over the weekend, the New Horizons spacecraft began beaming all its data back to Earth. The first result, released September 10, is a stunning, crisp mosaic of Pluto from the spacecraft’s visit on July 14 as well as a closer look at the dwarf planet’s largest moon, Charon. 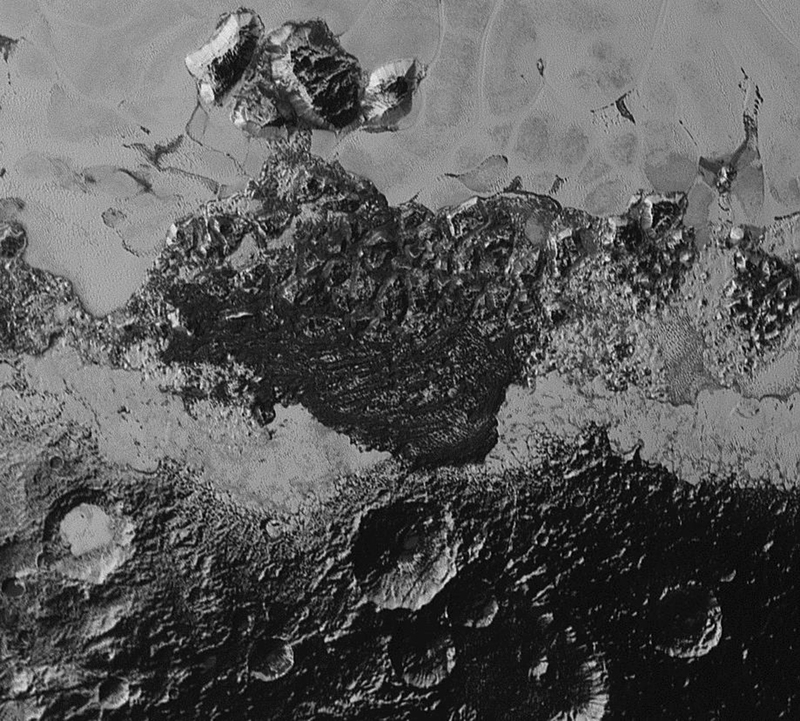 Nitrogen ice flows, valley networks, mountain ranges and possibly even dunes decorate Pluto’s frozen landscape. Ancient, cratered landscapes abut terrains freshly smoothed over by ongoing geological and atmospheric processes. One tangle of mountains — similar to churned up landscapes on Jupiter’s moon Europa — might be gigantic blocks of water ice floating atop pliable plains of frozen nitrogen. 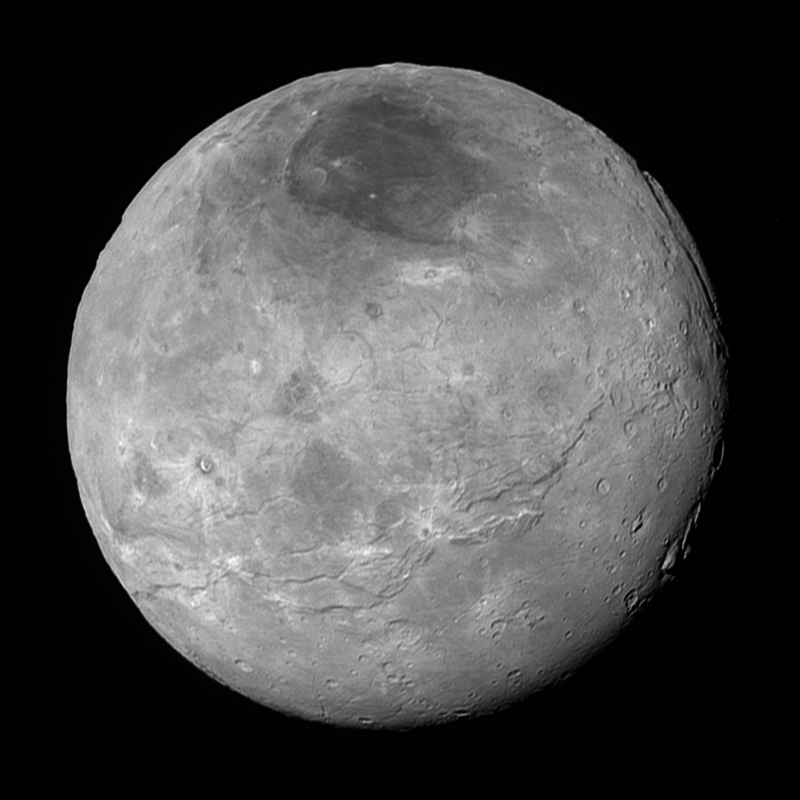 A new image of Charon, taken 10 hours before the spacecraft made its closest approach to Pluto, reveals a tortured history engraved in fractures, canyons and craters that plaster the surface.